4 factors to consider before switching to solar electricity power in N 4 factors to consider before switching to solar electricity power in N — Wavetra Energy LTD. 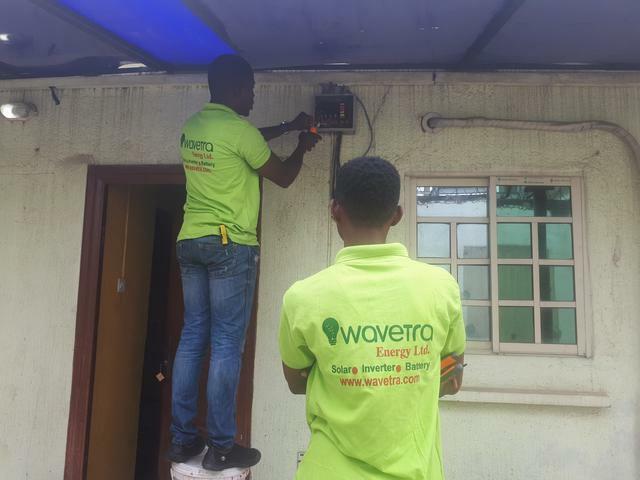 In today's Wavetra Energy blog post, we present to you what to consider before switching to solar electricity power in Nigeria. 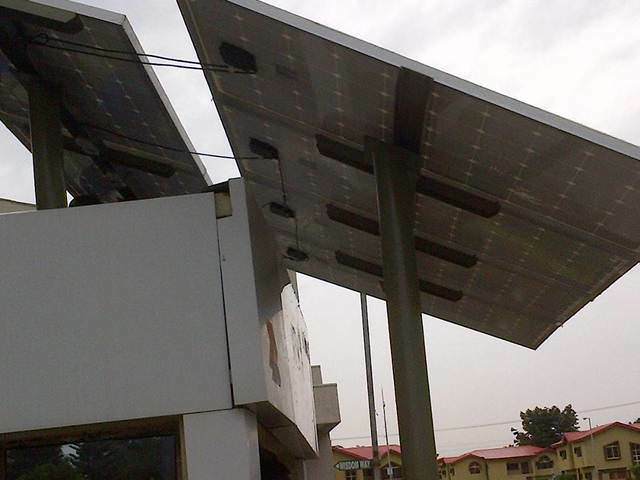 Alternative energy and especially solar power has become popular all over the world and even here in Nigeria. Have you ever thought of generating your own electricity anywhere in Nigeria? Yes you can do this using the popular power generator set powered by fossil fuel. But there is an alternative to this as you already know and in this article we will not just discuss alternative energy solutions for you in Nigeria but specifically solar electricity power. You have probably heard of solar power and I know you are considering switching at least part of your electricity source. So this write up will not focus on reasons you should go solar, but on the factors you must consider before finally going solar or installing those panels on your roof or else where. Now let us go straight to the points. I will list them first after which I provide more information on each point. Before that, I will like to add, also as a way of promotion, that Wavetra Energy LTD engineers can inspect your site for 'free' and you give you the best recommendation. With that all you need is to simply contact us and our experienced engineers will do the rest of the job for you hassle free. Availability of power from the grid (NEPA) in your area. Now let me break down the points I enumerated above. First thing you need to check if you have adequate space to install/mount the solar panels. Are you the owner of the building? Will you need permission from the landlord before installing the panels? Is your roof shaded by another building or tree so that it doesn't have good exposure to sunlight? You need to answer these questions first before taking any other step. Now if you do not have have enough space on your roof, the solar panels can be mounted on the ground instead. You can look at our portfolio to see some of the installations carried out by Wavetra Energy. This will give you insight on what the panels will look like on your roof. See one example of ground mounted panels below: If you already know your roof size and how many solar panels you need for your load, then you can roughly estimate if the panels will fit on your roof. Use the dimension below for your rough calculation. Approximate size of 250W and above solar panels: approximately 6 inches long and 6 inches wide. See more on solar panel sizes. Lastly you may also use only inverter system if there is no space for solar panels. Contact Wavetra Energy for the solution and advice. You can call/Whatsapp: 08157171707. Now this is also very important. What exactly do you want to power? Which load exactly do you really want to power? The reason for this is because when you go solar, you always have to bear in mind that you now generate your own power. The implication of this is that the more electrical appliances you decide to put on the inverter system, the more money you will spend to get the equivalent battery sizing and other components. This might be a huge investment in millions or far less depending on your load size. Also this is where a good solar installation company comes in. At Wavetra Energy LTD, we thoroughly tutor our prospective client on how to be energy efficient before he purchase any of the plans from us. For example, why don't you change the 60W or 100W incandescent bulbs (yellow hot bulb) to 18W energy efficient LED light? Do you really want to put your 2hp Air conditioner on your inverter? Why don't you use a smart Inverter AC or better still use only simple standing fans whenever you are on Inverter? What about other appliances? Why don't you discard most tokunbo power consuming products for new energy efficient models? All these changes will end up saving you huge amount of money on the long run. How much are you willing to pay for solar? I believe you have a quote at hand now. Just in case you don't, please take a look at Wavetra Energy pricing for a solar system here. We have made our price to be highly affordable for any one that really wants to go solar. But how much can you still pay? You know your pocket. Many clients compare the solar pricing to fuel generator set and they conclude that solar is expensive. Solar is not really expensive because you make one time payment and will stay years without buying any fuel. My advice is that you consult only a reputable company for both consultation and installation. In our case at Wavetra Energy LTD, we go as far as providing real warranty for both the components and our installation as whole. Because of this, we carefully handpick the best of the batteries, solar panels (super efficient), Wavetra solar charge controllers, etc. This is why our clients keep coming back. Many first time solar users may mistakenly opting for very cheap plans and components and unfortunately spend more money in the long run. For example, why should you buy a battery at say N80.00 and the battery last only 6 months to 2 years while a battery of N150 can actually last up to N12.00?! Or why buy cheap but very low efficiency panels that will never charge your batteries up to 100% Who is saving money at last? I strictly advice you not to go solar in Nigeria if you can not afford it now. This is not exhaustive but just the main points. Like we said before, you can contact us for your free solar consultation. We will thoroughly inspect your site and give you the best advice, completely stress free on your side. Why don't you contact us now?